The man who led the Truth and Reconciliation Commission (TRC) is encouraging Manitobans to don an orange shirt later this month to raise awareness about residential schools. "Non-Indigenous children have … been raised in an educational environment which teaches them the mythology of European superiority and the mythology of Indigenous inferiority — none of which is true," Senator Murray Sinclair said. "Our people are just as valid." Sinclair and the Manitoba Teachers Society are asking Manitobans to wear orange for Orange Shirt Day on Sept. 30 in the spirit of reconciliation. Recommendations from the TRC included educating Canadians about what happened to Indigenous children when they were sent to residential schools. In one example, Sinclair said Indigenous youth were punished for not speaking English or French. "Nobody spoke it at home or in the communities they came from, and yet upon their arrival they were spoken to either in French or in English and were punished if they couldn't respond or didn't know what was being said to them," Sinclair said. "[They were] physically punished in some cases and that was very harsh." 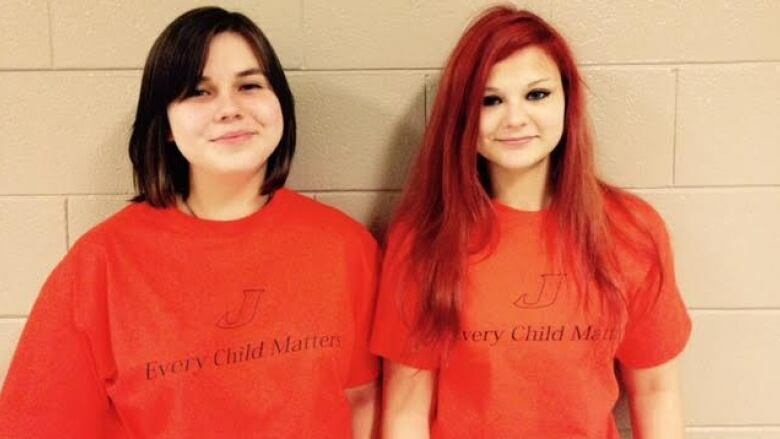 Sinclair hopes the fourth annual Orange Shirt day will encourage teachers to remember every student who crosses their doorstep is someone's child, and that every child matters.